“FAMEcount” is an interior element materialising your social media data. Bringing data of our digital identity into our physical world, Facebook likes, Instagram followers, etc. “FAMEcount” is a modern way to engage your visitors digital self and interact with you in the digital world with your company or display social media engagement data in your offices. 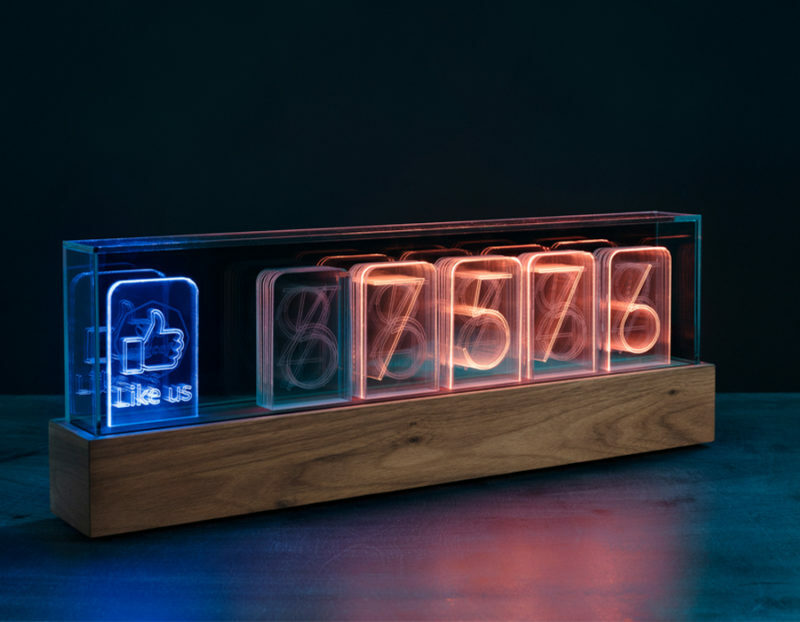 One counter can display up to 4 different social media pages from different platforms such as Youtube, Instagram, Facebook or even your own data. “FAMEcount” is a work of art made of high-quality materials including walnut wood and organic glass. It only requires an internet connection and an electric socket. It can also be used in pop up events while powered by a simple power bank (the type you charge your phone with). Powered with a 5v. usb connection.